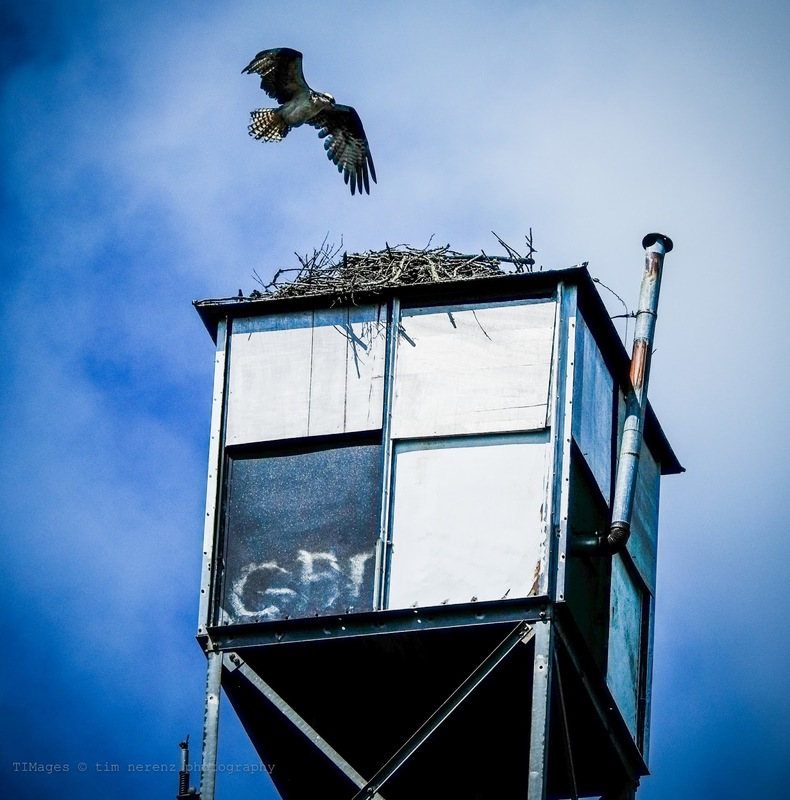 Seems like an odd place for a nest - on top of the fire tower in Oma Township. And if you head back there on the four-wheeler on a normal summer day and wait for a shot of mom returning to her chicks, the deer flies will eat you alive, even if you have marinated in DEET. But when the wind blows hard from the North, the swarming flies stay in the brush and when she does come back to see why her babies are squawking about the guy with the camera down there, she hovers for almost 5 seconds over them on the gale before going back for groceries at Pine Lake.